But for Keith Ellison, then a freshman congressman from Minnesota, mid-2009 was an ideal time for the U.S. to try something radically different in its relations with Tehran. 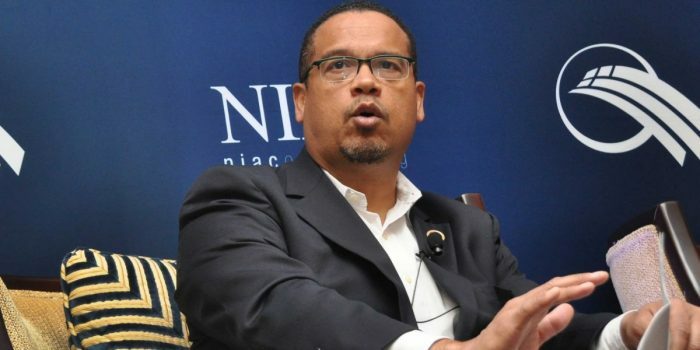 “I haven’t been persuaded that the best thing for us to do is to rush to crippling sanctions,” said Ellison during a July 22, 2009 House Foreign Affairs Committee hearing covering recent developments in Iran. Although Ellison clarified he was “not in principle against sanctions,” he argued that Washington could not shape Iranian behavior without broader international cooperation: “We have sanctioned ourselves out of sanctions unilaterally,” Ellison said, years before many of the most restrictive U.S. measures had even been introduced. By Armin Rosen is a New York-based writer. He has written for The Atlantic, City Journal, andWorld Affairs Journal, and was recently a senior reporter for Business Insider.